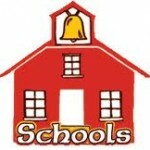 Taxpayers would be very foolish to approve the School Bond measure. The Oregonian pointed out that other area schools have built new schools for $160 to $200 per sq. ft. while Portland is allowing costs as high as $350 per foot. This raises red flags on their ability to manage this much money. More red flags are raised by the mail they sent to taxpayers. According to the Oregonian, misleading student statistics were used and they broke the law prohibiting using public money to support or oppose candidates or measures. More evidence of poor management comes from the State Superintendents Office showing Portland’s spends over $11,243 per student while Beaverton, Hillsboro, Lake Oswego, Tigard and Oregon City all spend $2,000 to $2,500 less with better educational outcomes. If Portland merely got their costs down $1,000 per student they would still be the highest spending district in the area but free up $45 million more each year for repairs. Since they already borrow $463 million, by adding this bond to the total we would have a district with total borrowing of over $1 billion–unheard of in Oregon. And lastly there is the personal cost for each taxpayer. Before voting, dig out your last property tax bill and ask yourself what if both school measures pass, and the county adds it’s usual 3%, can you afford to add 16% to that last bill? A house with an assessed value of $240,000 would see their tax bill rise from $5,200 to just over $6,000. The School District needs to show us some better cost management before we vote them this kind of money.